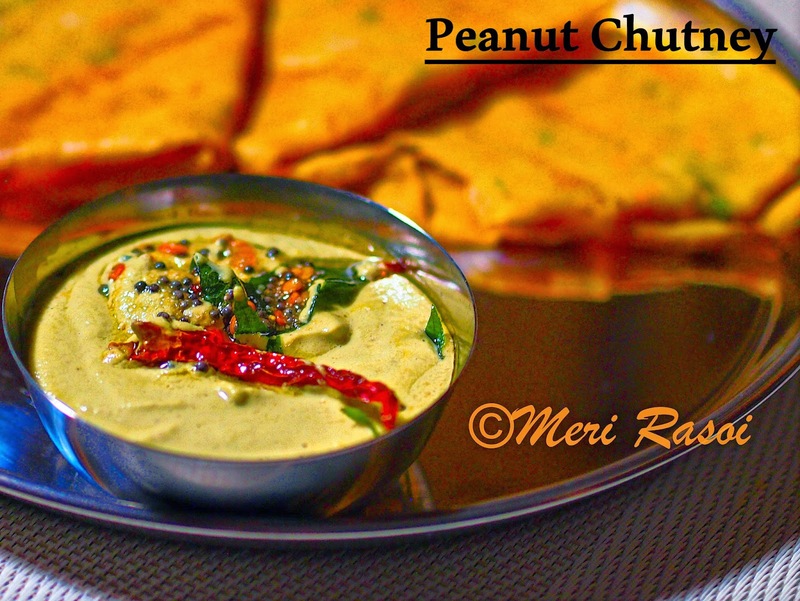 Peanut chutney is a chutney prepared using peanuts. The peanuts give it a sweet taste and a creamy texture. 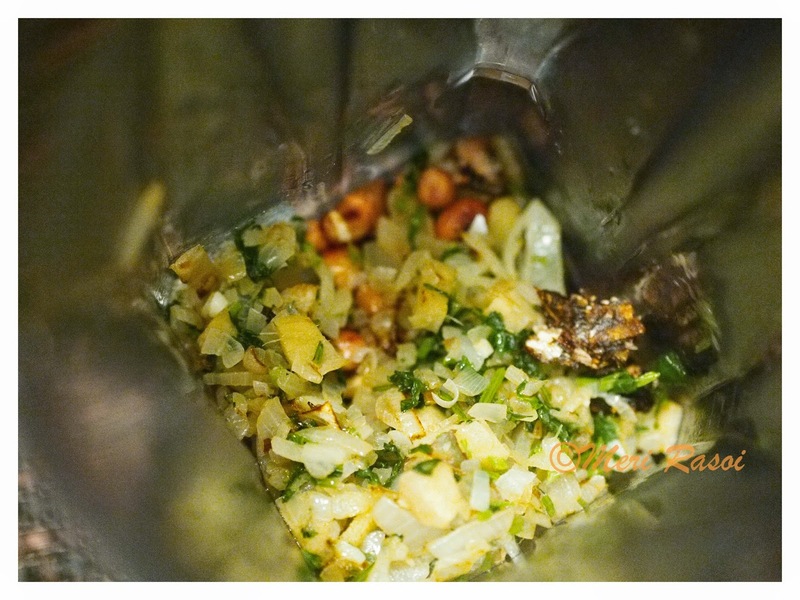 The sweetness from the peanuts and the heat from the green chillies make a nice combination. Tastes perfect with any dosa (indian crepes) or idli. Heat 2 tsp oil in a pan. 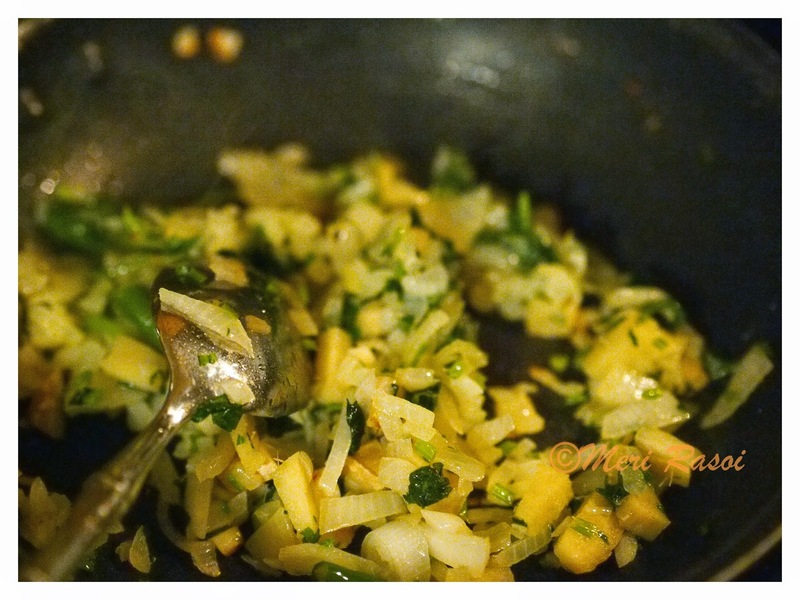 Once hot, add in the chopped ginger, chopped onion , green chillies and cilantro and saute for about 5 minutes until the onions have cooked. Set it aside to cool. 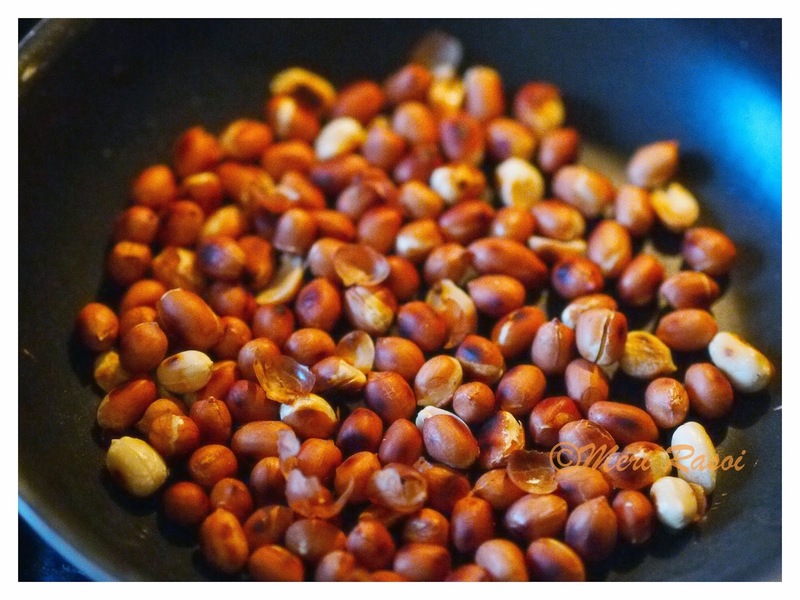 Grind the ginger onion mixture with the roasted peanuts and tamarind into a smooth paste using a little water. Add salt to the ground chutney. For the tempering, heat 2 tsp. 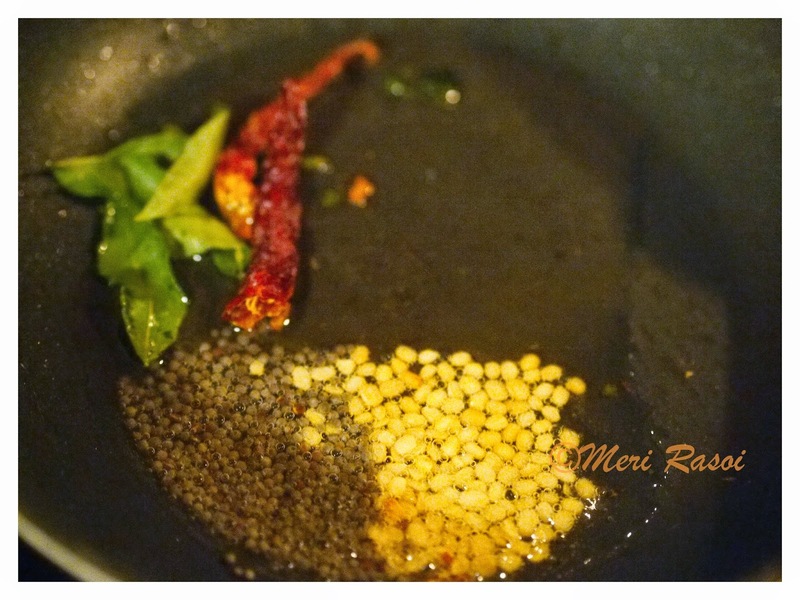 Once the oil is hot, add urad dal, mustard seeds, dry chillies, curry leaves and dry red chillies. Once the seeds start to splutter, add in the asafoetida. Pour the tempering over the ground chutney. 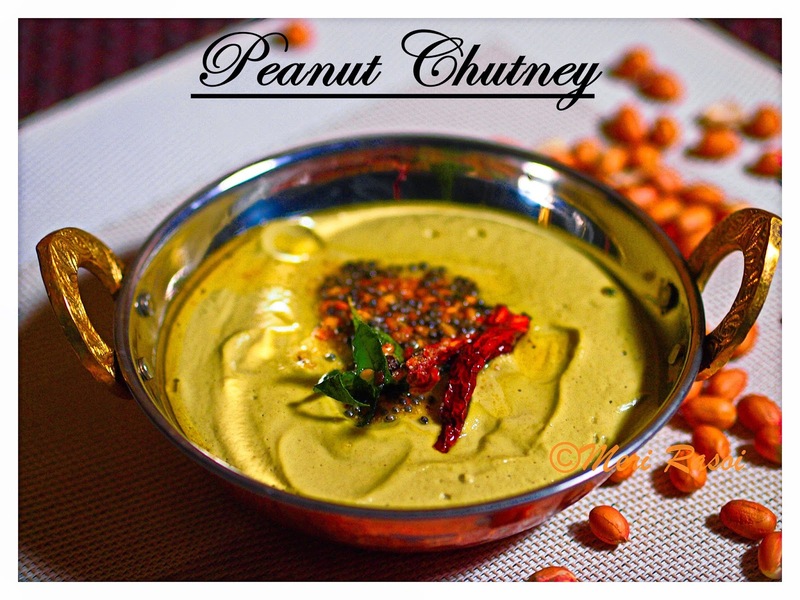 Serve Peanut chutney with your choice of dosa or idli. 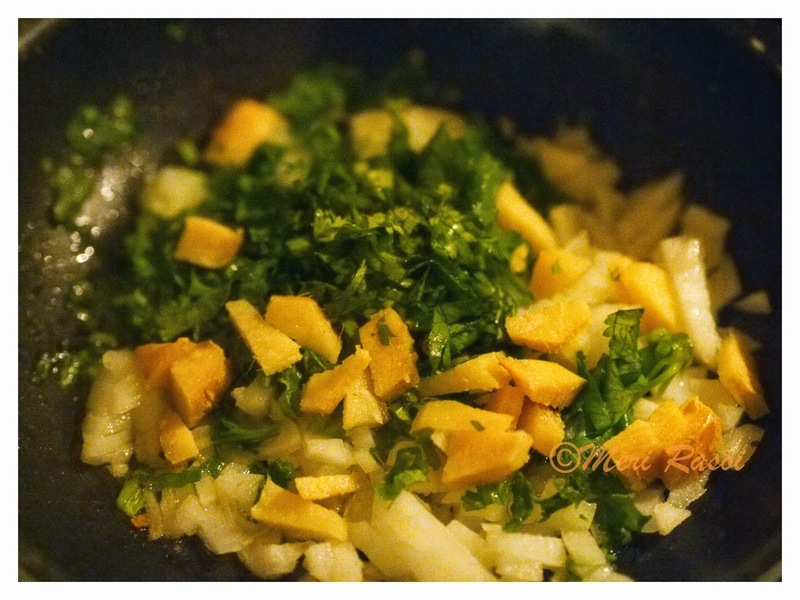 love this chutney with the addition of onion, ginger Shubha. A must try ! bookmarked! Shubha the only time I tried Peanut Chutney my folks rejected it saying the aroma of the peanuts was dominating and too strong for their liking. This recipe will give me the right direction to rectify the mistakes I might have committed with my Peanut Chutney. Again a wonderful post with lovely clicks. I love any kind of chutneys and I am truly loving this pea-nutty version. 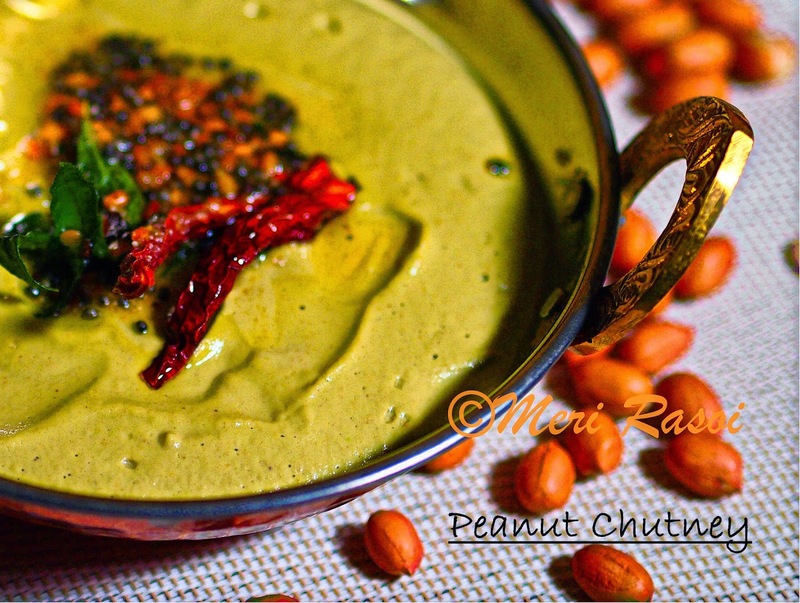 We’ve already given up, and there appeared the delicious, but wicked flavors of Karnataka – “Peanut Chutney”!